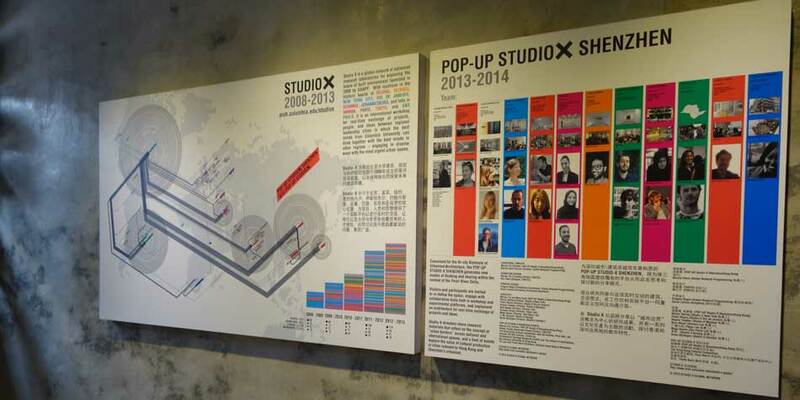 The POP-UP Studio-X Shenzhen is the newest addition to the global network of Studio-X labs. Curated by Marisa Yiu and hosts an interactive exhibition that has been designed by ESKYIU located in Shenzhen; with a preview event hosted on the waterfront of East Kowloon as the preview event of UABB* HK. Conceived for the Bi-city Biennale of Urbanism\Architecture (UABB) 2013, under the creative directorship of Ole Bouman, they have developed collaborative projects and free events such as lectures, workshops and exhibitions that foster a new form of discussion on the future of cities and explore the value of cultural production in global cities. 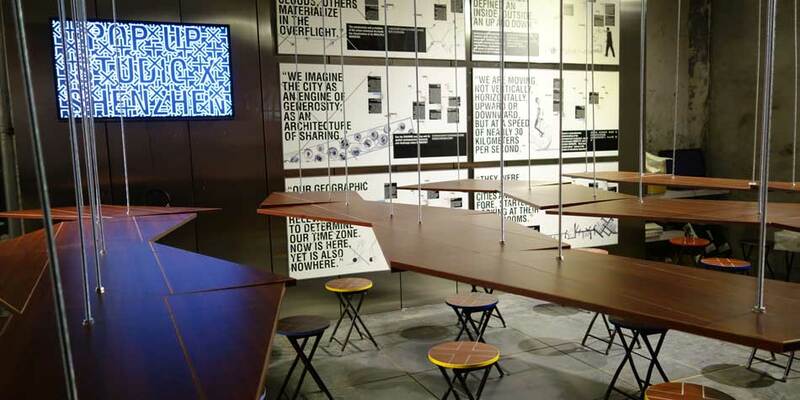 Visitors are invited to re-define the space, interface with collaborative tools both in workshop and experimental platforms. 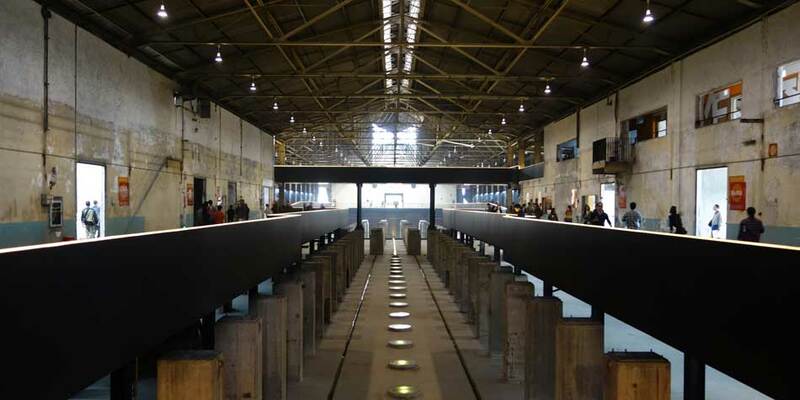 A film made by Studio-X directors around the world, was previewed for the first time at the biennale, to reflect on the concept of the “urban border” across national and international spaces. 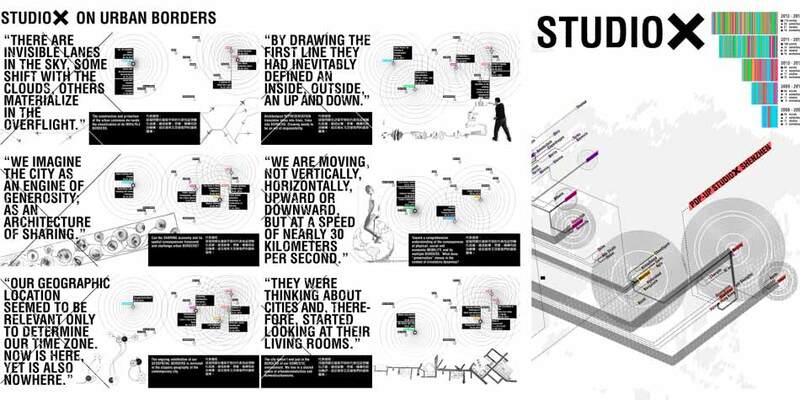 Initiated in 2008 by the Graduate school of architecture, planning and preservation at Columbia University in the city of New York (GSAPP), Studio-X is a global network of laboratories set in place for exploring the future of the built environment. With locations in the downtown cores of New York, Beijing, Amman, Mumbai, Rio de Janeiro, Istanbul, Johannesburg and Tokyo. It is a platform in which to engage in conversation and dialogue about the most urgent issues facing our shared world. 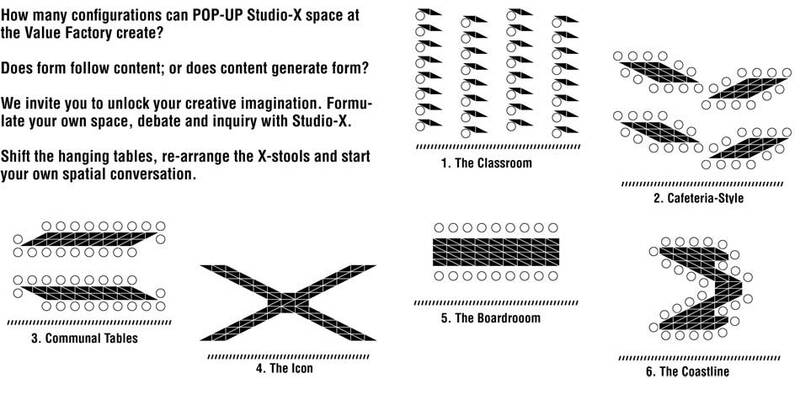 More at POP-UP Studio-X microsite. Featured as the opening “Highlight” in Wallpaper* review. See here. Featured in designboom. See here. 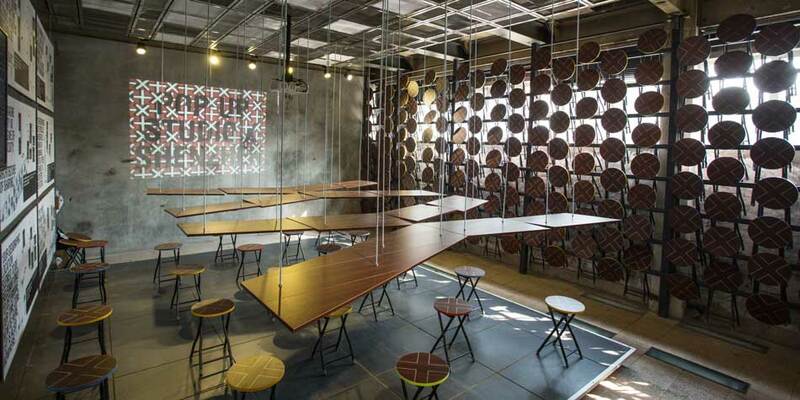 Featured in Archdaily. See here. More photos of opening weekend. See here. See here for time-lapse of opening weekend. POP-UP Studio-X Champagne moment. 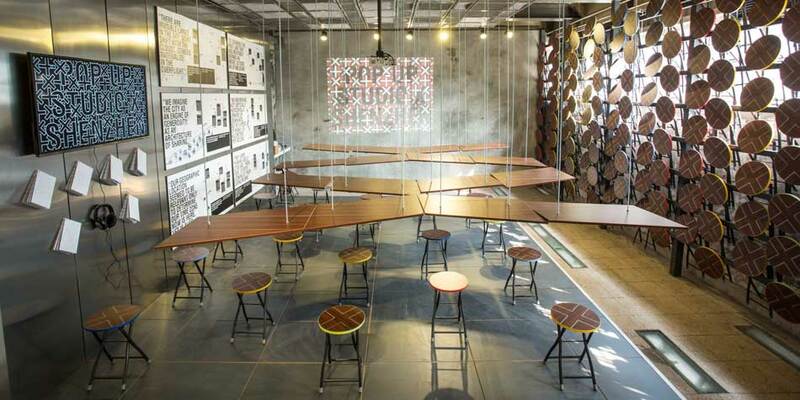 A celebration and opening of POP-UP Studio-X Shenzhen. City-Cultural identities in the making: Contemporary politics of the imagination. A dialogue on city and cultural identities in the making and contextualize it to the Shenzhen condition, with Mark Wigley (Dean, GSAPP, Columbia University), Marisa Yiu (Curator, POP-UP Studio-X Shenzhen/Hong Kong), Pedro Rivera (Director, Studio-X Rio), Li Hu (Director, Studio-X Beijing), Daisuke Hirose (Director, Tokyo Lab) and Tat Lam (Director, Urbanus). 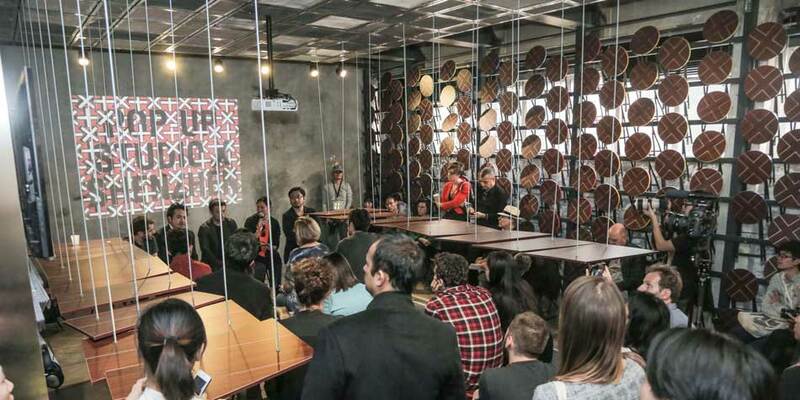 The Value Factory Dialogue: The Future of Architecture Education. An opening debate on the future of architecture education, with Nanne de Ru (The Berlage), Mark Wigley (Dean, GSAPP, Columbia University), Puay-peng Ho (School of Architecture, CUHK) and Alexander d’Hooghe (MIT Architecture). December 8th 2013 | 19:00 – 21:30 | Kowloon East Waterfront, HK. 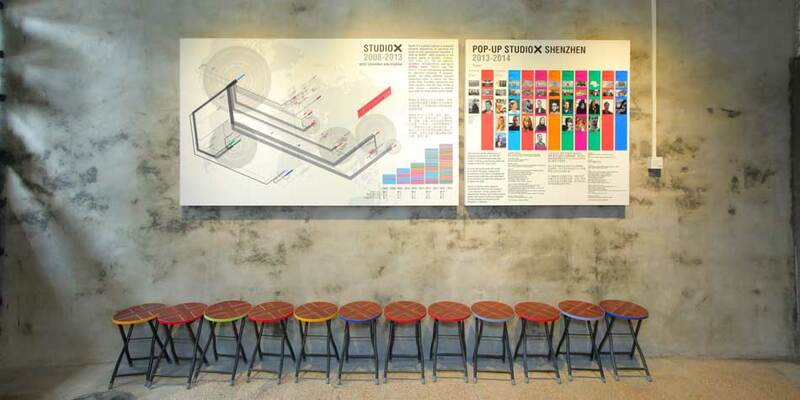 STUDIO-X Preview Party: Cultural Networks and Cross-Border Biennales. A soft opening party for UABB* HK. Studio-X Directors will present the new global short film produced by the Studio-X network: Amman, Beijing, Istanbul, Mumbai, New York, Rio, Sao Paulo, Shenzhen and Tokyo. Followed by performances by HK based sound artists: Sascia Pellegrini, Kelly Dance and William Lane. 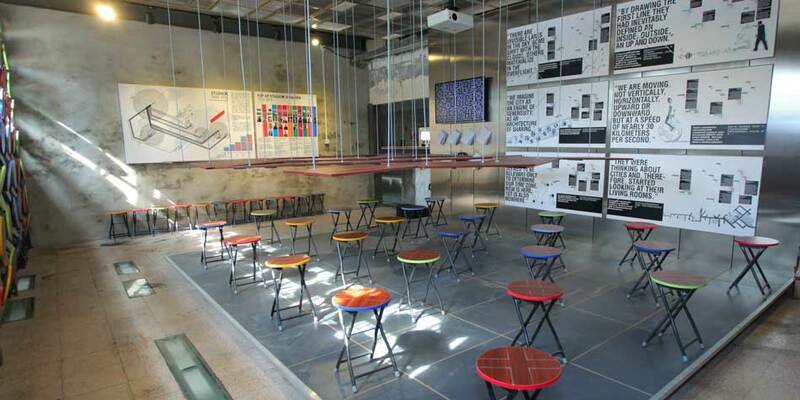 Cross-Border Education Workshop: Architectures of Sharing. A workshop on the exchange of projects, people and ideas between regional leadership cities, engaging students and faculty of the Chinese University of HK and Studio-X directors. 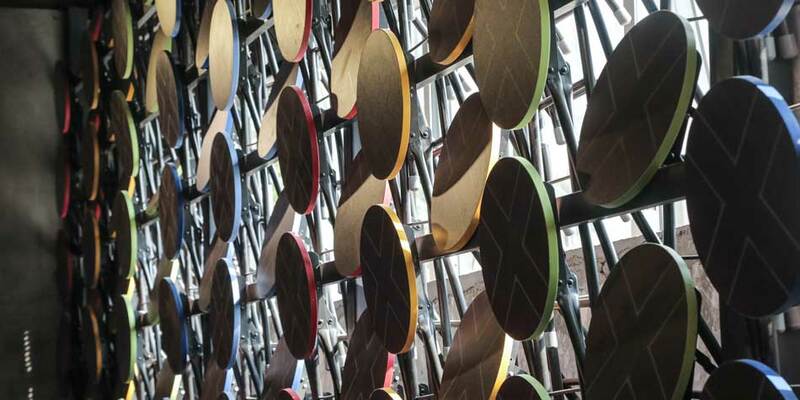 Of Sites and Contexts: Engaging locality and the cultural networks of the Pearl River Delta. Symposium and film screenings in collaboration with the Hong Kong Cultural Consortium (Asia Art Archive, Para Site, Ink Society, HK Arts Festival, Centre for Architectural Heritage Research, Architecture & Urbanism Archive and the School of Architecture of the Chinese University of Hong Kong). More here. Exhibition Size: 550 sq feet. Curatorial concept: Marisa Yiu (Curator, POP-UP Studio-X Shenzhen/Hong Kong); Marina Otero Verzier (Director, Global Network Programming). 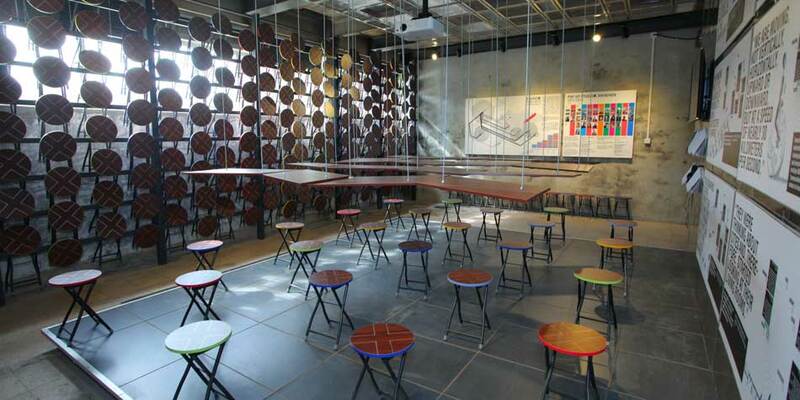 Exhibition design: Marisa Yiu (Founding Partner, ESKYIU); Kan Chan (Designer, ESKYIU). Events: Marisa Yiu (Curator, POP-UP Studio-X Shenzhen/Hong Kong); Amber Young (Associate Project Director, ESKYIU); The Hong Kong Cultural Consortium: Asia Art Archive, Parasite, Ink Society, HK Arts Festival, Centre for Architectural Heritage Research (CUHK) and The School of Architecture, the Chinese University of Hong Kong; Tat Lam and Travis Bunt (Directors, Urbanus Hong Kong & Shenzhen). Studio-X Film on “Urban Borders”: Pedro Rivera (Director, Studio-X Rio de Janeiro); Nora Akawi (Director, Amman Lab); Magu Bueno (Director, São Paulo Lab); Selva Gürdogan (Director Studio-X Istanbul); Daisuke Hirose (Director, Tokyo Lab); Li Hu (Director, Studio-X Beijing); Rajeev Thakker (Director, Studio-X Mumbai); Nicola Twilley (Director, Studio-X New York); Marisa Yiu and Mary Suen (POP-UP Studio-X Shenzhen/Hong Kong). Photography Courtesy of POP-UP Studio-X Shenzhen & ESKYIU.